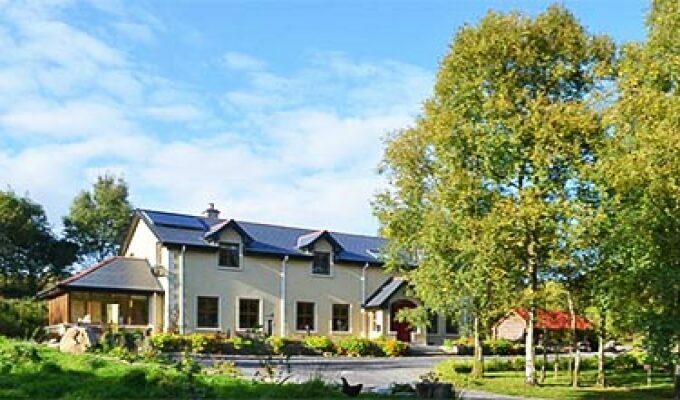 You will find our B&B in Cloonacool, a quiet corner of County Sligo (10 kilometres from Tubbercurry). We are tucked away at the foot of the Ox Mountains and close to the source of the river Moy. Here you can expect to find genuine hospitality, peace and quiet, comfort and wholesome food. We will do all we can to ensure that you enjoy your stay with us. We offer a range of wholesome breakfast food. Choose from porridge with whiskey / honey / cream, homemade granola, our own free-range eggs, Moy smoked salmon, fruit, yogurts, cheese, homemade breads and jams. The traditional Full Irish Breakfast is also available on request. We enjoyed our stay in Pat & Rita's beautiful home where we made to feel welcome and right at home. The breakfasts in the gorgeous glass walled sunroom were delicious and our room was well appointed and comfortable. Recommendations by our hosts resulted in our seeing some fun sights we probably would have missed. Would recommend highly. The welcome here was second to none, a lovely family who made us feel so at home. The twin room was well appointed with comfortable beds. As our flight home was early, the landlord got up and provided us with a super breakfast well before normal hours and then carried our cases out to the car and waved us off. We couldn't have asked for more and would certainly recommend this delightful B and B to everyone.